You are here: Home / Painting Contractors / How Do You Fix a Surface With Peeling Paint? How Do You Fix a Surface With Peeling Paint? We’ve all seen it before, the paint on the siding and trim board of your home starts to peel and chip. It’s an unfortunate eyesore that occurs when the paint has been applied without the proper cleaning and surface prep beforehand. Fixing a surface with peeling paint is not always easy. 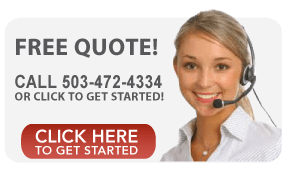 Experienced painter contractors have to go through a series of steps to prevent any future peeling. Efficient cleaning of a home’s exterior siding can be done a number of ways, varying from power washing to hand scrubbing. The exact cleaning method is often left to discretion depending on the size of the project and the siding material. You can’t just let the peeling paint be covered up! Professional painters will always scrape the leftover paint chips off of the surface before applying any new paint. After the old paint has been properly taken care of, it’s time to look over the surface and determine the correct next action. This may be applying a primer before the paint to prevent future peeling. We’ve found that Peel Bond primer from XIM does an amazing job. Step Four: It’s Time to Paint! Once the surface is cleaned, scraped and prepped, we can apply the new coats of paint. Ahhhhh, your house is looking better already! Have you noticed some peeling on your trim boards? 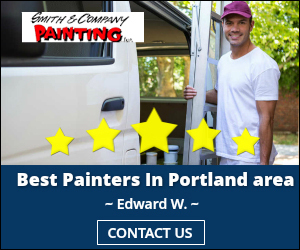 Give Smith and Company Painting a call today to schedule a consultation!